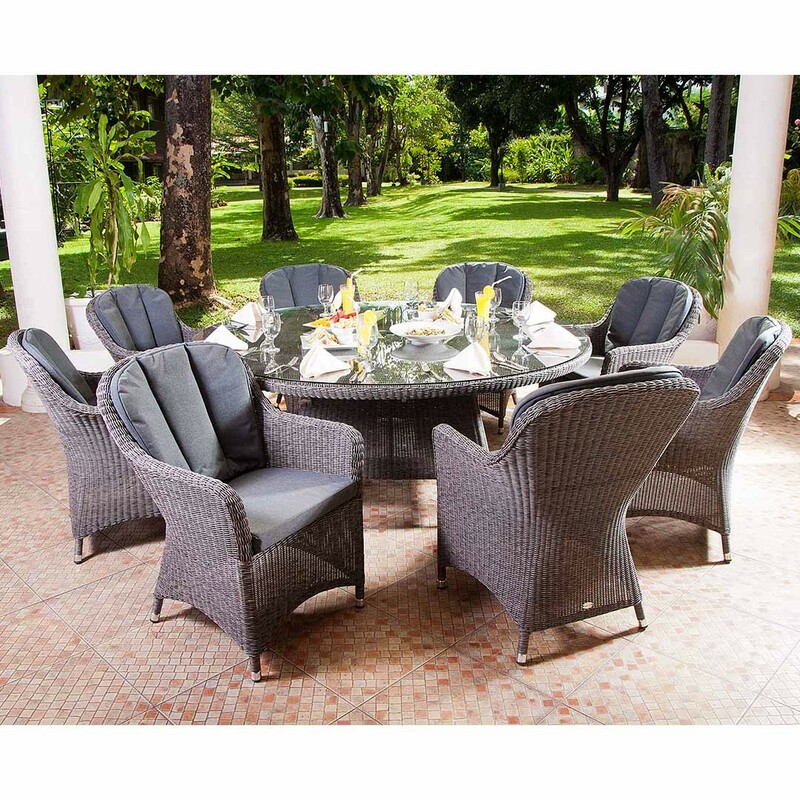 The Monte Carlo range is manufactured in Cebu, Alexander Rose use their own in house weavers at the very top of their professions, so that their designs can be appreciated and enjoyed by all furniture lovers. 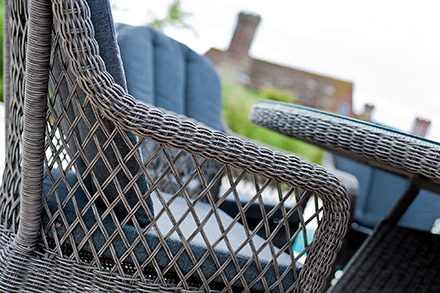 The 3mm textured synthetic rattan gives a natural feel and the Charcoal grey upholstered cushions compliment the mid grey weave.The Monte Carlo cushions are made using a Charcoal Olefin fabric and have a 2 year warranty. 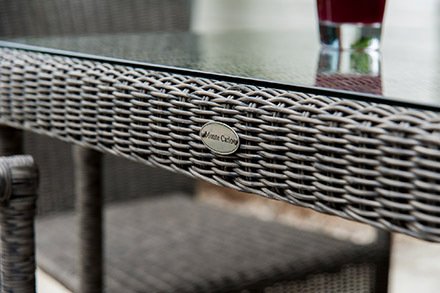 The Monte Carlo collection is woven in a traditional basket style, in a 3mm textured grey round synthetic weave. The fibres are made of high density polyethylene, a 100% recyclable non-toxic material. It is perfect for outdoor or indoor use and has unique properties that render it insensitive to UV rays and extreme weather conditions. The fibres are UV and weather tested and are guaranteed for up to 3 years, free from defects such as cracking, peeling or breaking. The weave cleans easily with warm soapy water. The glass used on the woven tables are tempered safety glass and will not deteiorate.